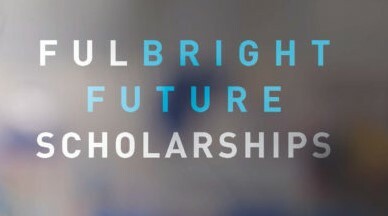 The Australian-American Fulbright Commission is pleased to offer Fulbright Future Scholarships – our most generous scholarship program ever. This unique opportunity provides 100% funded opportunities for study and research programs in Australia, and projects that seek to have a positive impact on the health, livelihoods and prosperity of American and Australian lives. Fulbright Future Scholarships are open to postgraduate students, PhD researchers, academics and professionals. Awardees will receive funding for full tuition/visiting researcher expenses at a Australian institution of their choice, as well as travel and living costs. Fulbright Future Scholarships are open to applications for American candidates who satisfy the following criteria. Prior to applying, we strongly encourage applicants to read the Eligibility & Conditions section of the American Applicants page. Individuals seeking to undertake 3-10 months postdoctoral research in Australia, who have completed their PhD in the past 5 years. Academics (at associate professor or full professorial level) and mid-career professionals (with an undergraduate qualification and minimum 10 years work experience) to undertake research and/or training in Australia. This award supports a 3-4 month position.